Park yourself at one of these creative mobile eateries and enjoy a meal al fresco. Hungry for a tasty dish with a healthy dose of sunshine? If the weather is nice and the sidewalk cafes are all full, you have another option—one that’s usually even more affordable. Hit the nearest food truck and grab a bench. Here are some of our area’s tastiest rolling eateries, coming to a neighborhood near you. Get your Southern on with Astro Doughnuts and Fried Chicken. 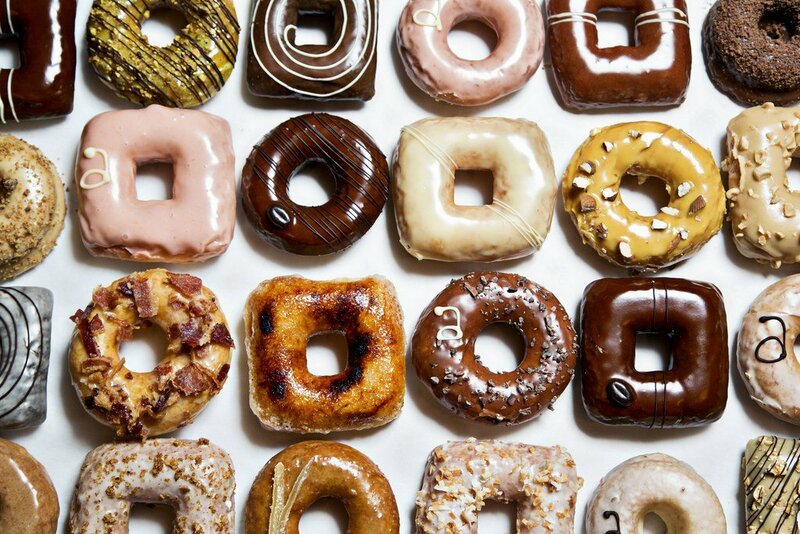 This rolling bakery serves 8 different types of doughnuts, including PB&J and creme brulee. If you have a saltier tooth, try the fried chicken sandwich with a side of tater tots. This truck travels all around the D.C./Arlington area, and luckily it maintains an interactive map that allows you to track its planned locations and times up to a week in advance. If you need that doughnut fix now, you can also swing by Astro’s storefront in Falls Church.